And so it has happened. The near end of My City Lives was announced last week. In what feels like the end of a chapter, I can’t help but feel sad to see the closing of a company I hold so dear to my heart and yet grateful to have been with it since its inception. I remember the early days of concept development where Adil and Adam set out with the idea to do “something good” by holding weekly discussions at Victory Café with other like-minded folks which eventually lead to the idea behind My City Lives. I remember the first office in North York, our company car, the first cheque, the first piece of media, and even the first few videos that were filmed with a handy-cam. As time went on we eventually moved into the Centre for Social Innovation downtown, got our own office, hired more people and all grew into our roles. It was almost magical to see how in a couple short years the company (and ourselves) had developed and transformed into this leading-edge platform, no doubt due to the help and support of the awesome Toronto community. The Firsts. My City Lives was always ahead of its time and since the beginning looked towards a future it knew was going to be filled with people using their smartphones to take videos of the places they went. This resulted in us being one of the first to have a video-focused site, a video-focused mobile application and create the first video campaigns around the city. As a new company, we had a lot of firsts ourselves. None as memorable as our first birthday. The moment things worked. We weren’t a big company and we didn’t have big budgets for research, marketing or promotion. A lot of working in a start-up is trial and error and seeing how the community responds. Most of the projects we worked on required us to do things we had never done before. The feeling when a strategy you worked hard to develop got traction and a positive reaction from the community was a moment of glee and excitement. Working with passionate people. There’s something about coming to work everyday and surrounding yourself with people who are passionate about what they do. The people I worked with wanted t make the world a better place and most importantly, believed that they had the ability to do it. Passion is contagious. When you’ve got a lot of it, you can share it with other people and make a pessimist into a believer. The way we made people feel. It’s no secret that I love Toronto. Nothing made me happier than spreading that love on a daily basis and finding out what others loved about the city. We made people feel excited about Toronto and proud to call it their home. 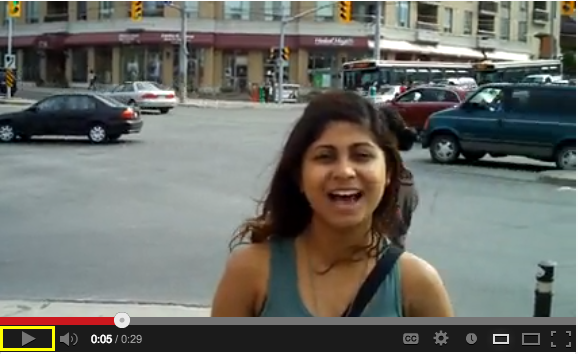 Thanks to our community I am well versed on the hot spots and hidden gems of Toronto. We are extremely proud of what we have accomplished and honoured to have been witness to some of the most awesome things that the city has to offer. For these reasons, we are proud for having given it our all and even more proud that we kept our deepest values of building a more vibrant Toronto at the front and centre of our work. Thank you for your support and enthusiasm. Thank you for sharing our videos, for telling your friends and for helping us tell the story of the city. It counted, all of it and we are so sincerely grateful. We have met some amazing people, built long lasting relationships and learned business and life lessons that we will carry with us in the future. I’m proud of them for what they created and the movement they led. I’m honored that they let me be a part of it and will always be thankful of what I have learned while working with them and for My City Lives. Here’s one of the first videos ever created. It was a test video that I made to serve as a demo as to demonstrate what type of videos might be on the site. And as what always happens when one chapter ends, another one begins……. Thanks Jarvis. There were many memories over the years and I can’t wait to see what the future holds for us all (and video!). I loved the video in Kensington – it’s also up on the MCL Youtube Channel if you ever need access to it. Let me know if you need help finding it.